For the second year running Campbell Scientific have given children at Redmoor Academy the opportunity to learn about weather measurements by delivering a Weather Workshop. 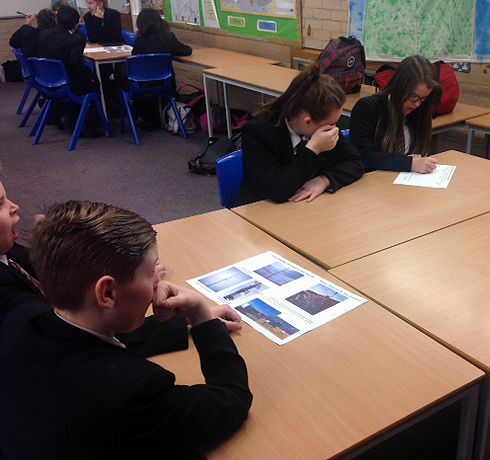 Two one hour sessions were held across two days for around 70 students in total studying geography at KS3. Following a short 'show and tell' by Campbell Scientific's STEM Ambassador, Iain Thornton, pupils broke out into small groups; each allocated a specific real world weather application. For each application students considered what parameters are measured, by whom and for what purpose. Applications included: wind energy, solar energy, road transport, aviation transport, sports and leisure and lightning warning. Pupils were assisted in this through supplied worksheets and application images and by staff and Iain circulating to facilitate discussions. Finally, pupils reconvened to summarise their findings to the class. Iain said "This is the second year that we have visited Redmoor for these sessions. The aim is to get children thinking about the implications of weather beyond the daily forecast on the news. To consider how weather is used in many aspects of scientific research but also in commercial applications for safety, financial or legal reasons"